When did it become acceptable to blame the tool rather than the carpenter for a job poorly done? Yesterday’s experiences shape tomorrow’s beliefs. 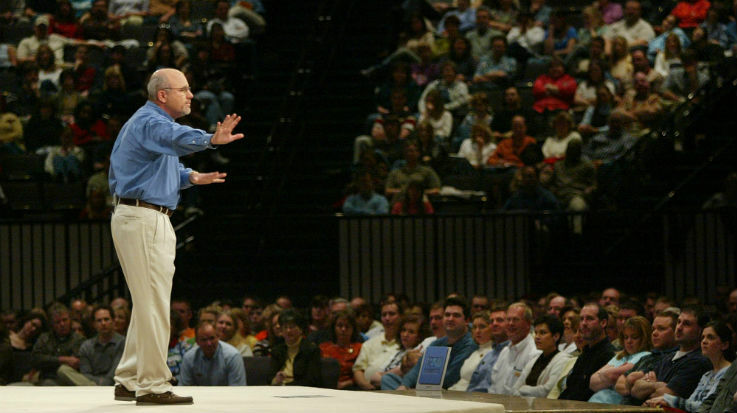 Had Dave Ramsey’s past experiences not been marred by financial ruin; had his past not been sensationalized by giving off-the-cuff, hard-to-hear, overly simplified advice; had he not generated most of his wealth during one of the strongest bull markets our country has ever seen; then we wouldn’t have a Dave Ramsey who hates debt almost as much as he hates permanent life insurance or safer money alternatives like fixed annuities. Dave’s personal experiences have shaped his personal beliefs. This happens to all of us. I had a former colleague who frequently replaced her iPhone because she often dropped it. I’m rough on phones, so I’ve never considered owning an iPhone. Yet, they’re fairly popular; I think they’re here to stay. In fact, I bet many of you reading this are probably doing so on your dreaded BlackBerry-slaying devices. Shame on you! See? My personal opinion is based on my personal experience. It’s therefore not appropriate for others who do not share similar usage and expectations of their mobile devices. Good financial professionals use historical truths, not individual experiences, to give advice. If you peruse daveramsey.com for investment advice, you’ll find that our friend Dave discourages investments he himself does not own. Before you think about how absurd that statement is, check out his site. You’ll see the following statement many times: “Dave does not own (blank) investment and does not suggest (blank) investment as part of your investment plan.” Pretty bold, don’t you think? Let’s return to our phone analogy. I’m willing to admit that I like my BlackBerry (BB) so much that I could care less about the technical advantages techies cite to prove that more sophisticated smartphones are better. They can sit in front of their nerd screens and offer any number of reasons why I should change, but the fact is my BB has not failed me … much. (Ramsey shares the same retorts about financial professionals, by the way.) I think I know what iPhones do. I’ve had some iPhone screen time. Yet, I still like my BB. I can give you reasons why I think it is superior, and these simplistic explanations work pretty well until someone who knows something about phones asks me particular questions about the quad cam variable cache multiglobal ram megabit digital zooming retinal scanning abilities of my BlackBerry. At that point, it will become very clear that I don’t know diddly about phones. The same can be said for Mr. Ramsey and annuities. In fact, I will argue that Dave knows even less about annuities than I do about phones. Let’s dive into a few of his blundering inaccuracies. To start, we will go to Dave’s site and read “The Retirement Crisis: Are Annuities the Answer?” Here he shows his total lack of annuity expertise. Fact: ANNUITIES ARE NOT INVESTMENTS! They are insurance policies. Calling an annuity an investment is like calling a bond issued by the National Bank of Greece a high-yield income fool, I mean tool. Fact: Surrender charges on early withdrawals ONLY exist on withdrawals in EXCESS of the penalty-free withdrawal amount. Proper planning greatly reduces this risk, just as proper diversification reduces unsystematic risk. Fact: All annuities do NOT have significant expenses. There are many fixed annuities that do not impose any fees. Fact: Many front-end load equity mutual funds have maximum sales commissions of 5.75 percent. According to Wink, Inc., the average street sales commission of the hundreds of index annuities they track (offered by 53 different insurance carriers) is 5.79 percent. Mutual fund commissions are directly charged to the purchaser, whereas annuity commissions are not. It seems pretty clear that the main reasons Dave doesn’t advise annuities are not based in fact. The “significant” fees do not exist, annuities are not an investment, and early withdrawal penalties are really not an issue. Let’s look at an example. Say someone follows Dave’s advice and purchases a front-end mutual fund with 5.75 percent sales charge and 1 percent annual costs. They give it a whirl, and after three years, whether they love it or hate it as much as Dave hates negative comments on his Twitter feed, they’ve incurred 8.75 percent in costs (using simple math). Love it or hate it, they pay this cost. Now let’s assume they purchase one of these “dreadful” annuities. If they like the annuity, and it has no additional fees, then there is no cost during this period. If they hate it and surrender it, then and only then will they incur the surrender penalties. Therefore, we can make a strong argument that the fees attached to the annuity would be significantly LESS than the fees attached to the mutual fund. Fact: Incorrect! For any one-year time period where the fund performance was negative, the fixed annuity would have a superior return. Furthermore, in a market where the performance does not offset the internal costs of the fund and the commission, the annuity would also have a superior return. Lastly, comparing the performance of the stock market with the performance of a fixed annuity is like trying to decide if an aircraft carrier is better than a Jet Ski. The Jet Ski might be cheaper to operate, but I wouldn’t want to be 100 miles offshore in one. They are designed for different waters. Third foolish comment: “A typical fixed annuity may offer a five percent guaranteed annual payout with 1.15 percent in annual fees. That lowers your actual return to just 3.85 percent. With good growth stock mutual funds, you can earn much higher rates of return — as much as 12 percent based on the market’s long-term historical average. Fact: Wrong, wrong, wrong, wrong and wrong! Remember when I told you it’d be obvious Dave knows NOTHING about annuities? Remember how I said there’d be clear evidence he knows less about these products than I do about iPhones? I can overlook the fact that he called annuities investments. I can ignore the fact that he falsely assumes ALL annuities are fee-stricken. But this I cannot ignore. First, the five percent guaranteed annual payout IS NOT A RATE OF INTEREST. Not only is the 1.15 percent fee high in the fixed annuity world, but it wouldn’t be subtracted from the guaranteed annual payout. If you don’t know the difference between a guaranteed payout factor and credited interest, then you have absolutely no business giving others advice on this subject. Bad advice leads to bad choices, and bad choices hurt people. Fact: Seriously? Yes, in most cases the income withdrawn from an annuity is taxed as ordinary income, unless of course the tax status of the annuity is … oh, I don’t know … A ROTH! Yup. Income from mutual funds held within a Roth IRA is withdrawn tax-free, and, likewise, income from an annuity titled as a Roth IRA is ALSO withdrawn tax-free. This is a mind-blowing concept, I know. 1. Seek the advice of one of my ELPs or another insurance professional. 2. I can’t specifically answer this question without knowing more specific details to determine the suitability of this product. 3. I can’t specifically answer this question without knowing more specific details of the product. Or he could have just said, assuming you’re young and are willing to accept some market risk and are trying to maximize the accumulation of these assets, then it might not be the right time for you to pick a lower risk, lower return product. Here’s the problem. Although Mr. Ramsey tells his band of followers to seek the advice of a qualified financial professional, he consistently provides investment advice on subjects he’s not familiar with. His bad advice is taken as good advice and those who follow are potentially harmed. Although Dave does not, by his own admission, own any fixed annuities, this does not mean a fixed annuity is not an appropriate tool for some. Likewise, just because Dave invested in a different tool and it worked for him doesn’t mean that tool is appropriate for everyone else. If you disagree, follow me on this one. Dave owns a cute little country home boasting three stories, 13,307 square feet, a garage larger than most of his listeners’ homes, and a library which smells of “rich mahogany.” (I hope I didn’t lose any credibility by inserting a Ron Burgundy reference.) According to Dave, if it’s good for him, it’s good for you. So does this mean clients with similar net worth should own a similar house? Should clients of dissimilar wealth not own an annuity, since Dave does not own an annuity? Should clients of dissimilar wealth own an aggressive allocation of four (yes, only four) mutual funds, since that’s what Dave does? Easy to answer when put so simply, isn’t it? Fixed annuities CAN be a good planning tool. Yes, there are examples where they were used improperly, and some of these examples have been commercialized as validity of the tool’s stereotyped deficiencies. But since when did we start to blame the tool rather than the carpenter for a job poorly done? Would we ban the use of hammers in this country if someone used one to commit a murder? Bad press doesn’t make annuities a bad product that can cause harm. No, the improper use of them is what can cause harm … just like the improper use of bad information can cause harm, especially when given by someone who generally gives good advice. Maybe this is what has cursed our friend Dave. Once you’re considered the expert, it’s hard to admit you’re not.